Welcome to the World Gym complaints department brought to you by HissingKitty. Experienced poor customer service? We make it easy to file a formal complaint against World Gym online. Simply use our free form and your feedback will be instantly forwarded for review. Need to contact the World Gym corporate office? We have the mailing address, phone number, and email address listed below. I have been having ongoing unpleasant issues at the gym. Management was very rude, uncaring, negligent, unhelpful and unwilling to cancel my membership without huge penalty, see letter below. I'm leaving because the place is no longer bearable and welcoming. As discussed on the phone earlier today, after several complaints about the racial derogatory and profane laced music that's being played unabated at the gym I have no choice but to cancel my membership. Kindly cancel my membership effective immediately as the environment is no longer comfortable to me. Given that I have been forced to cancel due to the toxicity created by the insensitive nature of the the gym's choice of music, I would appreciate that no additional cost be uncured for doing so. My decision was based solely as a result of the unbearable situation. Please confirm receipt by returned email. Lately in april after our wedding my wife qnd i went to word gym beauport qc where we registered and gat the vip pass so we can train together but because of work we couldn't thanks god my wife got pregnant and she could go to work and i decided to get some time of too go to the gym I've been going for 4 days without trouble but today i went there and a manager racial profile me ask the do always and tell me i can get in because the card is on my wife name even if I'm the one who pays for that sincerely i couldn't believe that . When i think i made fove people go the and registered and today i was with a new friend who wanted to visit and subscribe and really shocked and i will do everything so me or somelse wont be treating that way never. I live in tujunga, CA and I purchased one year membership from this gym located on foothill blvd. I had an injury from other training and I froze my account and a guy named Mike was informed about me not being able to go back to gym and any other training and was agreed on the phone that he will freeze my account as much as required so I can get back after recovery, now he keeps sending emails regarding past due balance and even called me threatening me that IF I don't pay then he will take action and will send the balance to collection. He is such a lier and rude person and I don't feel safe walking into the gym even for a quick talk. I have an injury and I can not go to gym anytime soon. I am not canceling my membership cause I want to go back to gym when recovered. I would like to transfer my membership to anywhere else any other world gym where this hysteric guy is not there. I was almost filing a complaint by my lawyer but he hold me back saying this is just a guy and the world gym ownership are not like him. Please reply to my complaint and stop this guy bothering me. This world gym is located on foothill blvd almost on the corner of tujunga canyon by 7/11. My wife went into World Gym, wanting to know if they had a trial membership. She walked out 15 minutes later with a 2 1/2 year contract costing over $700. I had her call them and tell them she wanted to change to a month to month deal. They said no problem, when she came in tomorrow, they would change it to month to month. That apparently was a lie, they wouldn't let her change it. They said, she could pay month to month but it was still a 2/12 year agreement. Frustrated with the situation, I call the manager, and then the district manager. After getting the full slimy car salesman spin, and asking for a refund, they kept spinning and spinning and refusing to give her a refund. The district manager actually hung up on my wife after telling her to read the contract that she had signed. Well, at the very bottom in fine print it says that if you in writing mail a certified letter to a Texas address before midnight of the third day after signing, they would give you a refund. Now I know why he wanted to meet with us both on Friday, because then the 3 day window would have passed and we would have been screwed. These people are way worse than car dealers! The facilities there may be fine, but the people I dealt with were Sleazy with a capital S. The manager Rob, and his district manager Jamie are not to be trusted! In most ways a gym membership is like health insurance . 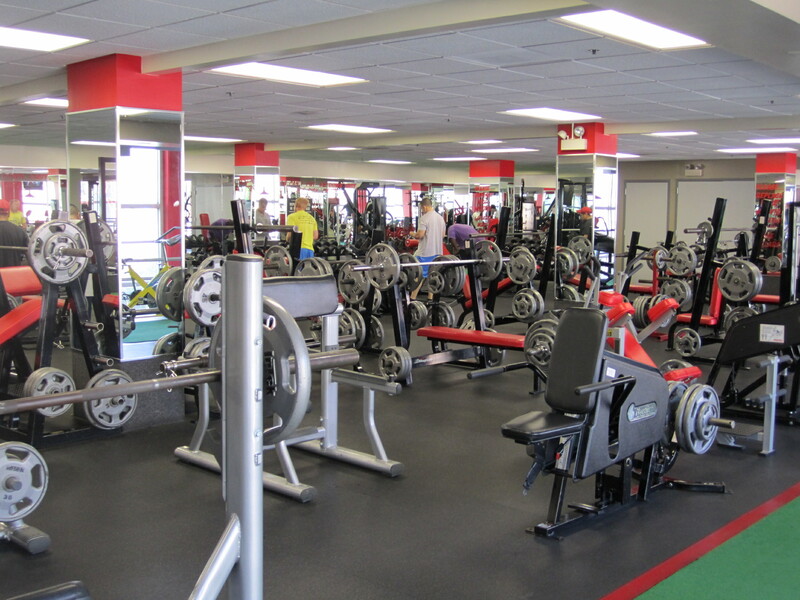 Like a health insurance company, a Gym may have different CEO's or different leadership. My particular membership has been serviced by quite a few different gyms and gym owners. I have never had a problem with servicing my membership contract until now. When a gym is purchased from another gym owner the purchasing gym owner assumes the obligations of the contracts of the existing members from the previous owners.This makes business sense, who would purchase an existing gym without purchasing the contracts of the members? This last purchase of my membership contract was by World Gym from Energy Fitness in Charlotte, NC. In November, 2015 . I met with the new owner about my membership. I was told, "There are only a few of you guys left with this kind of contract". "I met with a few of you older members, and I am not going to honor your contracts. For what I paid to purchase this gym and existing memberships I will not honor the contracts." My reply was, "Since there are so few of us left and we are older, what is the harm in you honoring the contracts you purchased? We are just trying to maintain our health and most of us are retired or on fixed incomes, and as you said there are not many of us that want to continue with your company". "Why would you do this to a handful of older clients? Why would you try to violate the existing contracts or make us purchase new contracts with new fees?" He then replied, "I am not making enough money on your contracts". The problem I have with this business logic is the existing contracts we have...to us older members, is like life insurance. We paid a ton of money upfront to be assured when we got older there would be no additional cost to have access to a gym or fitness center improve our health. Our contracts have been purchased by four different previous gym owners/managers; we have always been treated with respect and dignity until this World Gym franchise owner. Greg Tayman decided he needed more money and decided not to honor legal binding contracts. I would urge caution in doing business with the World Gym franchise until this matter is resolved. Gym membership contracts are binding and enforceable in court, I am trying to avoid that route. To ensure that this doesn't happen to someone else please call Corporate 603.742.4443 Greg Tayman 301.785.4156 and ask them to honor their lifetime membership contract purchases. This type of business dealing is wrong call these numbers and ask them to honor their contracts. Have feedback for World Gym?